A sculptor of remarkable accuracy and nuanced observation, Melvin Johansen brings to his work a legacy of study of the natural world. Born in 1915, Johansen has devoted his life to the celebration of wildlife through reverent and joyous representation. He began his career as a taxidermist with the Snow Museum of Natural History in Oakland, California. Through his work at the museum, Johansen traveled throughout the Western United States, Mexico and Canada photographing and documenting various species in their natural environments. His work allowed him to study animal anatomy and form with an academic comprehensiveness. The photographs and sketches produced from these trips appeared in several natural history publications and films. In 1972, Johansen retired as senior curator of the Natural Sciences Division of the Oakland Museum in order to focus on his artwork. The result was a body of work that represents the animal world with reverence and spirit. Johansen’s technical knowledge imbibes his work with authenticity and completeness. Despite his precision, Johansen’s unique style allows his work to transcend pure representation and serve as testimonials to the beauty of nature. Vivid and assured, Johansen’s figures feature a loose, appropriately unrefined texture that prevents them from appearing overly technical and suggests movement and presence even when his subject is depicted at rest. His appreciation and insight of form leads to compositions of validity and grace. Retired for several years, Johansen began producing new pieces in 2006 by exploring new compositions and expressive patinas. 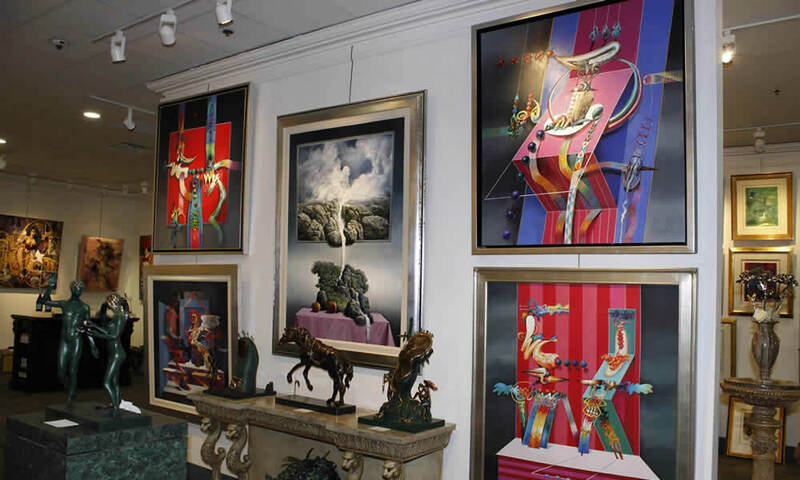 His recent works feature the classic quality of a master animalier with new enthusiasm and vibrancy. Highly collected, Johansen’s works are featured in private collections throughout North America, Europe and Middle East. Johansen’s sculptures are included in the permanent collection at The National Museum of Wildlife Art. In 2007, Johansen was honored with the nomination and election as a Professional Member of the National Sculpture Society by his fellow artists. Now in his nineties, Johansen lives in his Northern California home with his wife Darleen and sculpts in his studio.